Thanks so much to Datacolor for providing me with a ColorReader for this post! As always, all opinions shared here are mine. Have you ever found a throw pillow or a piece of wall art you loved, and wondered how to find a paint color that coordinates with it? 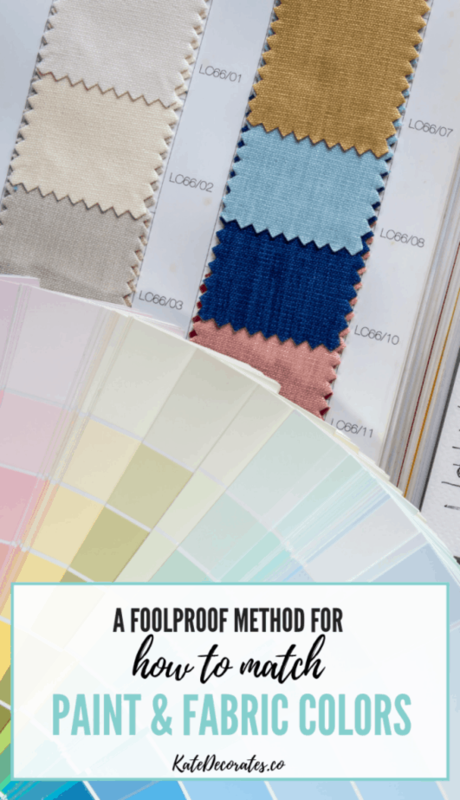 Well, it’s your lucky day because today’s post is all about how to match paint and fabric colors….and how to take the headache and guesswork out of that process. Spoiler alert: This process just got a whole lot easier thanks to a handy dandy tool I recently discovered. In the past when I’ve wanted to find a paint color that coordinates with something else in my home that I love, it’s been a painstaking process full of trial and error. Sound familiar? Maybe you’ve been there too. And man, is it annoying. My old school process looked like this: I’d take the fabric I wanted to match to my local home improvement store (or snap a photo of an area rug since, let’s be real, nobody is hauling a giant area rug with them to the paint counter at Home Depot) and stand by the swatches, guessing as to what color was close to the one I wanted and hoping/praying that the paint shade depicted on the swatch was the same color I’d see on my living room walls later that day. Not only was this method inefficient, but I often ended up being disappointed with the final paint job. 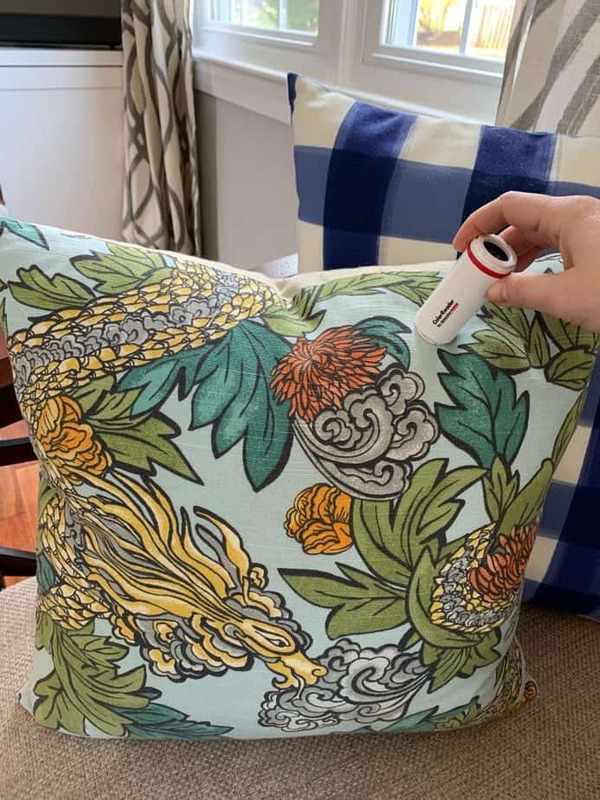 I finally realized how to take the pain out of the paint and fabric color matching process, thanks to a tool called ColorReader (psst, you can snag one on Amazon with free two-day Prime shipping right here). If you’re not familiar with it, it’s a small “reader” that, when held up to a piece of fabric, art, or anything saturated with color, will “read” said color. Just download the ColorReader app to your phone, hold the reader up to whatever you want to “read,” and press the “on” button. Then go back to your app on your phone and hit the “get reading” button. 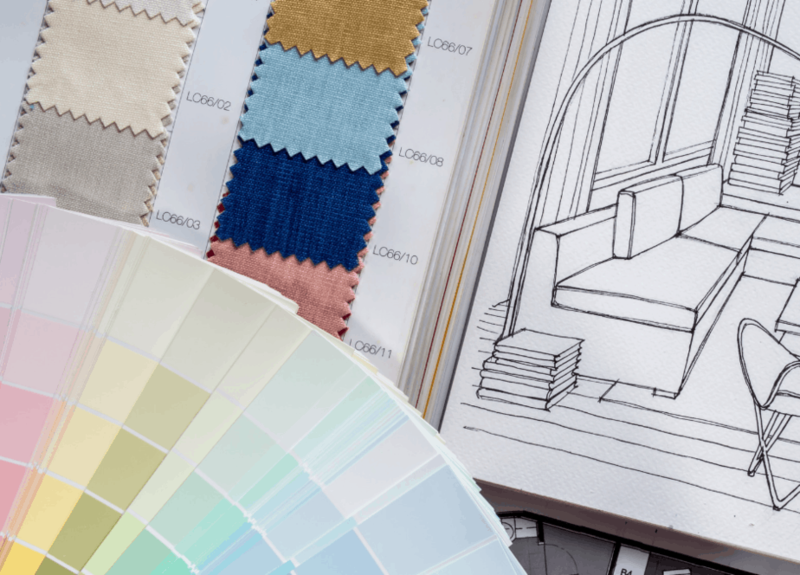 In a matter of seconds, it’ll tell you the closest paint color match name across a variety of popular brands like Behr, Benjamin Moore, Farrow and Ball, Sherwin-Williams, Valspar and more. If you’re thinking that this tool is only for designers or decorators, think again. There are plenty of scenarios where this tool is super useful. I tested out my ColorReader by “reading” a beautiful silvery blue color in a DwellStudio fabric that I absolutely adore. I have two pillows in my living room in this fabric, and wanted to paint my ceramic garden stool that I use as a side table — currently a (too) sunny yellow hue — in a more muted, bluish gray tone. Aside from just “reading” paint colors — which by the way, I’m really pleased with how accurate my reading was because the color of my new garden stool really does look like that shade of silvery blue I love so much in that pillow fabric — ColorReader has a couple other features that might be handy depending on where you are in your home decorating process. For example, after you “read” a color you can click a few buttons on the app to see coordinating color palettes. There are four color palette options — two which show you contrasting colors, while the remaining two show you similar colors. 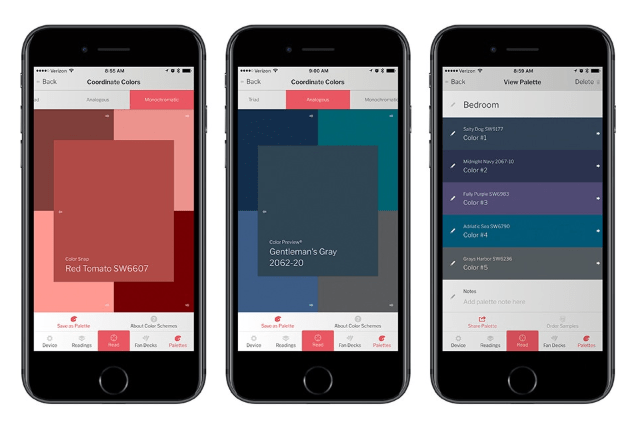 You can also create your own palettes on the app and save all the paint names you’ve used in your home or are planning to use. 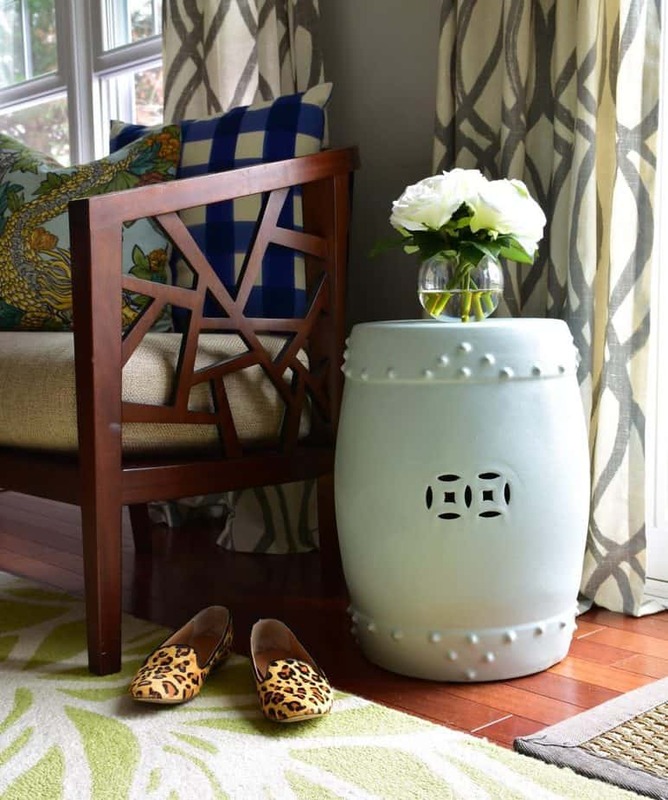 It’s a great way to remember the brands and names of those paints so that when touch-ups are inevitably needed, you’re not sitting there racking your brain trying to remember if that dining room color is Valspar or Sherwin-Williams. I’ve loved using my ColorReader so far, and have a few more paint projects planned where I’ll surely take advantage of it. Best of all, it saves me time and money and keeps me from playing the trial-and-error game of picking out paint colors based on the swatches I see in the store. What do you think? How would you use a ColorReader for your own home decorating projects?